Thank you for helping me to place the order. It was important to share in this way with our family since we were not able to attend.. - Christy Z. 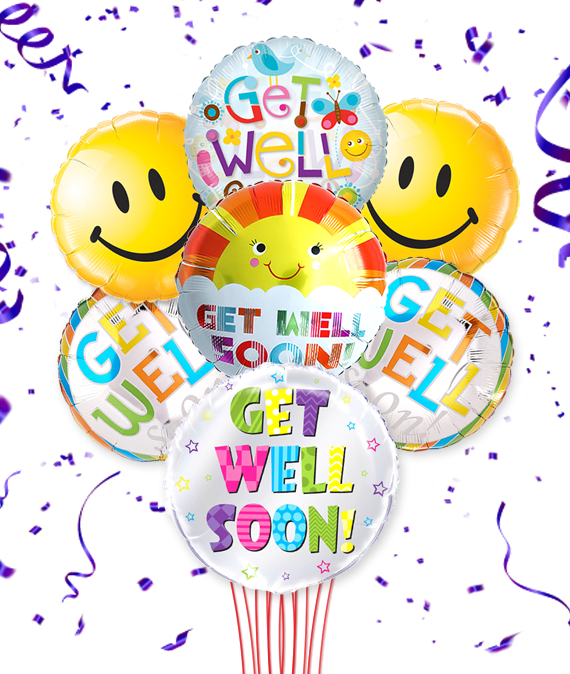 Tied together with a lovely ribbon, the Get Well Balloon Bunch arrives ready to make a big impression. It's one of the best gifts to send to a patient, this balloon bouquet arrives with festive mylar balloons that are sure to be cheerful.. Anyone who receives this gift can see your appreciation and concern for their well being! 10/06/2011 6:38AM I sent these balloons when my nephew had his tonsils out to cheer him up. It was a colorful and fun way to let him know I was thinking of him.— Jenny B.